Detective Comics #950 is an over-sized anthology special. More than that, it's a showcase of everything this series has to offer in the Rebirth era, giving both the regular art teams and guest artists Marcio Takara and Dean White a chance to display their talents bringing James Tynion IV's masterful writing to life. 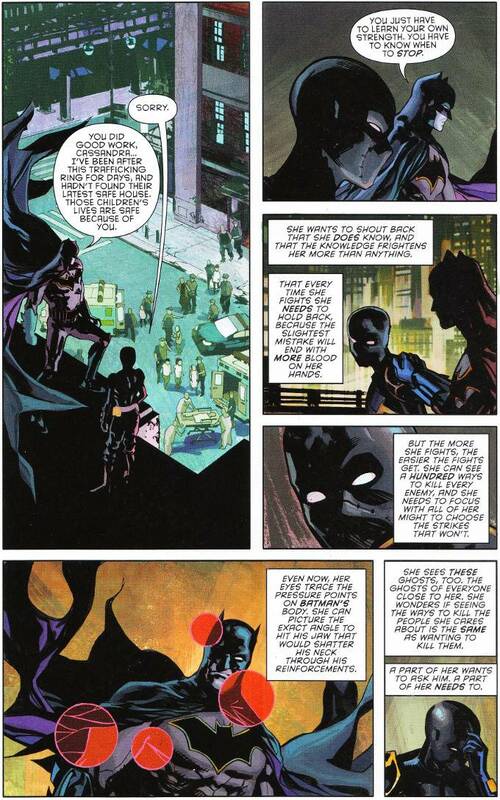 The first chapter - a prologue to the upcoming League of Shadows storyline - is told from the perspective of Cassandra Cain a.k.a. Orphan. I've never been a big fan of the character but damned if this story didn't make me see Cassie in a whole new light. Her frustration with being unable to communicate her thoughts verbally will be sympathetic to anyone who has ever had trouble expressing themselves. The artwork is easily the best thing I've ever seen drawn by Marcio Takara and Dean White's colors are perfectly applied. 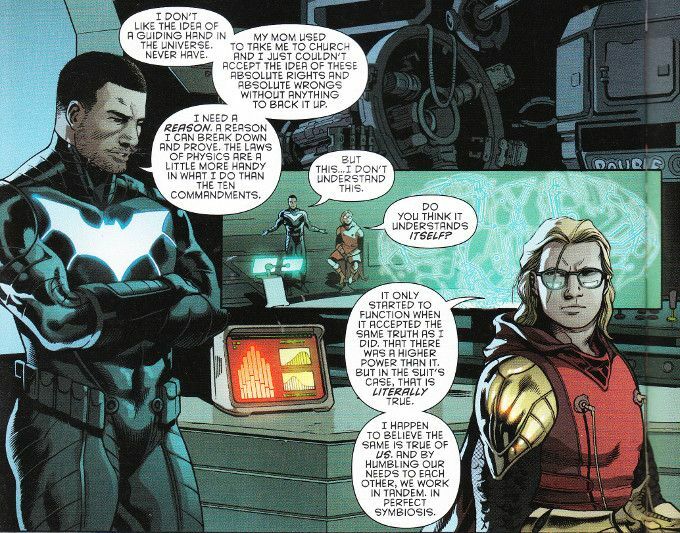 The second story, Higher Power, is a short one which focuses on two members of the Bat Family in need of further development - Batwing and Azrael. Tynion's script goes beyond its simple faith vs. science set-up, focusing upon the odd friendship and differing attitudes between the two tech-based heroes. The artwork by Alvaro Martinez, Raul Fernandez and Brad Anderson is consistent with their usual output - entirely excellent. 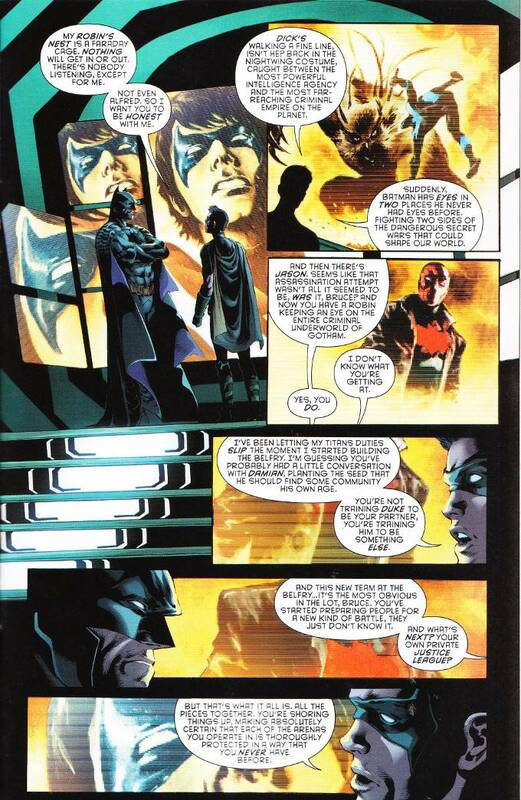 The final chapter, The Big Picture, details a flashback conversation between Batman and Tim Drake. Despite nominally serving no purpose other than setting up the Dark Days crossover event due to run through all the Batman books in 2017, its an solid character piece for both characters. The artwork by Eddy Barrows, Eber Ferreira and Adriano Lucas is damn good too.